When working on new features in IZWebFileManager I needed to change rendered HTML. I took a look at the code I wrote more then 3 years ago…. It is so complicated! It took me a while to figure out what is HTML is rendered here. 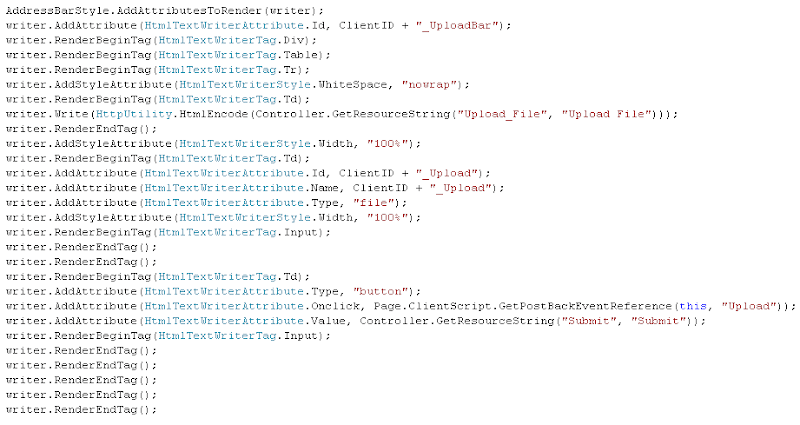 The fact is, that HtmlTextWriter’s API is not intuitive and requires a lot of effort to produce relatively simple HTML. Is there a alternative way to render output? WhenLINQ has been released all the .NET world has met fluent APIs, and I was wandering if there is such an API for rendering ASP.NET controls.